*1.99 percent APR for 36 months at $ 28.64 per month per $1,000 financed, applies to select Certified Pre-Owned Mercedes-Benz Models. Must finance through Mercedes-Benz Financial Services for qualified customers only. Must take delivery of vehicle between Apr.1st, 2019 and Apr. 30th, 2019. 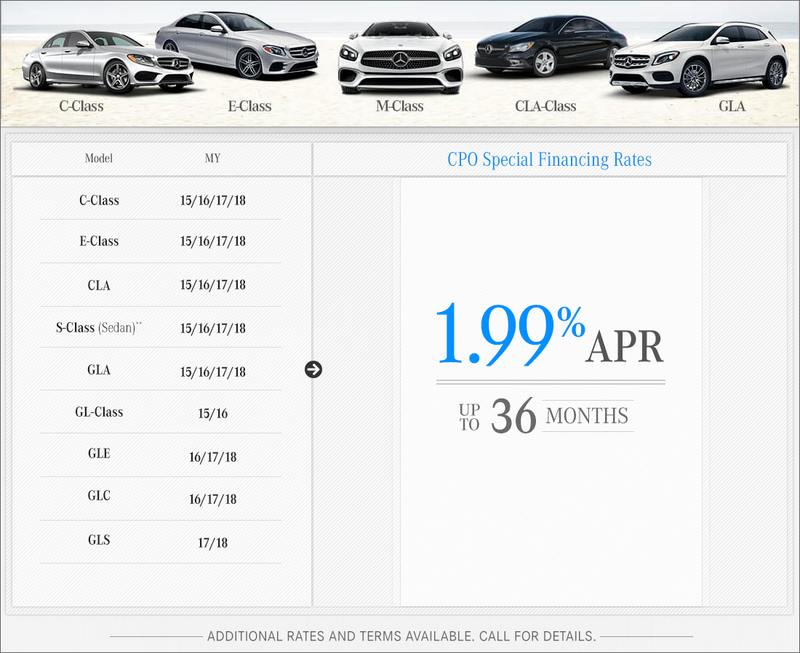 CPO Special Finance Rates for S-Class Sedan Excludes the S 600 Maybach. See dealer for complete details. Expires 4/30/2019.